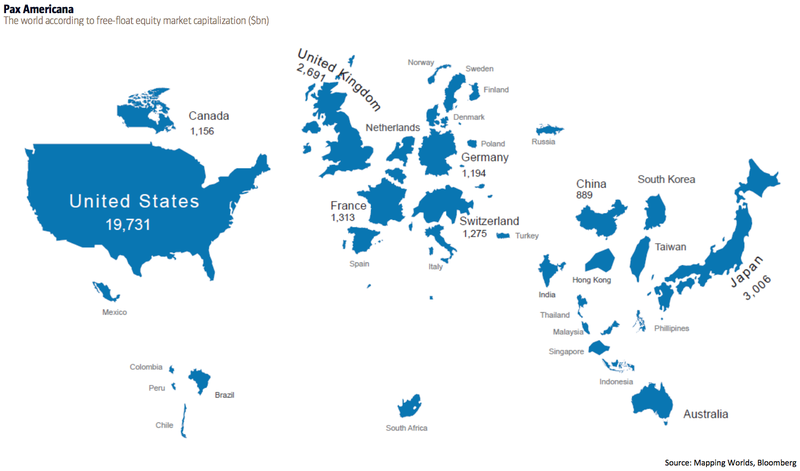 This world map shows countries by the proportional size of their stock markets. Created by Bank of America Merrill Lynch’s Chief Investment Strategist Michael Hartnett, this illustration shows “free-float equity market capitalization” in billions of dollars. 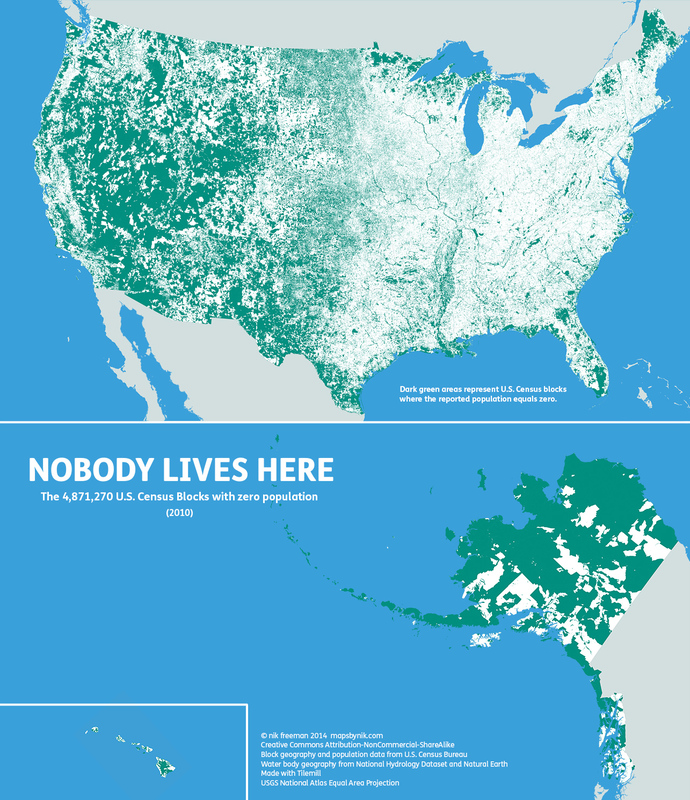 According to recent census data, 47 percent of the United States’ territory is uninhabited. A Block is the smallest area unit used by the U.S. Census Bureau for tabulating statistics. As of the 2010 census, the United States consists of 11,078,300 Census Blocks. Of them, 4,871,270 blocks totaling 4.61 million square kilometers were reported to have no population living inside them. Despite having a population of more than 310 million people, 47 percent of the USA remains unoccupied. Overcrowding in cities and other population centers is more about people wanting to be where the action is than the restrictions of physical or inhabitable space. The green on the map below shows the all territory where nobody lives. People like to live live near other people. 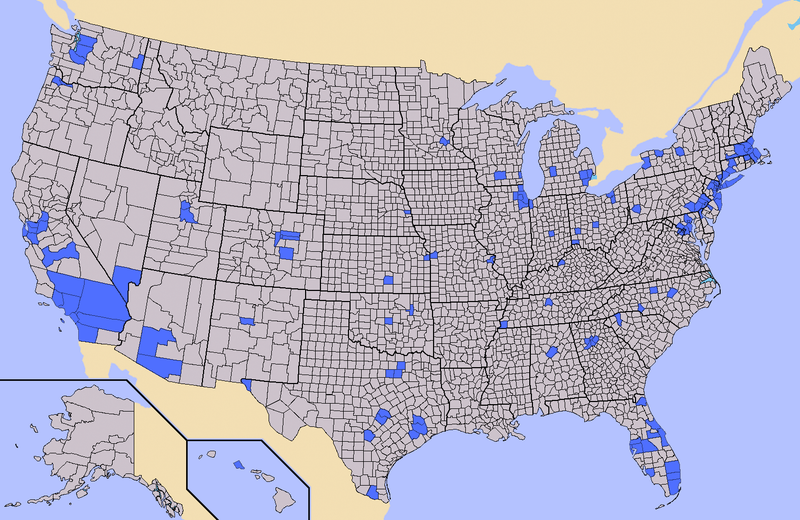 Out of the 3,000+ counties in the United States, 146 contain half the population. So much for the 80/20 rule. It doesn’t seem to apply to population distribution. Initially, finding my county on the map surprised me. It does not have a major metropolitan area. However, if half the country’s population lives in a relatively small number of counties, I have a 50/50 shot at living in one of them. Overall, the map shows there is still plenty of space for us to grow into. 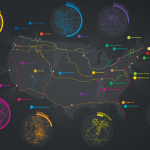 Here’s another map (also cool). This one has the size of the countries adjusted to better match their population. 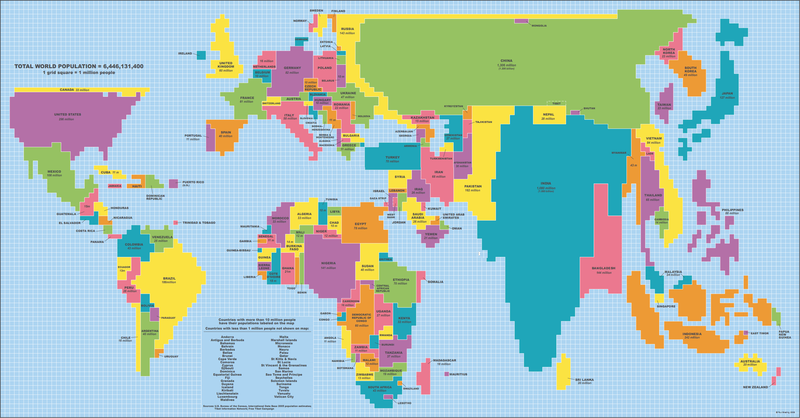 Each square in the grid represents 1 million people.